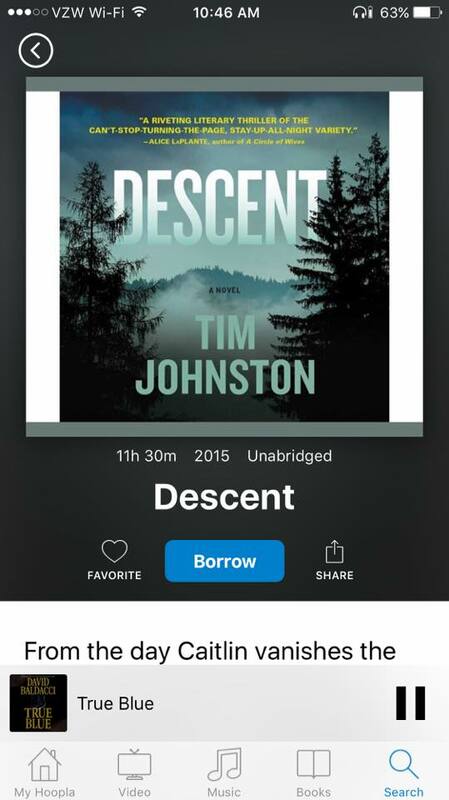 Can anyone recommend a good/lengthy book that might be available on audible? I like thrillers, sci-fi, horror, fiction, some YA books. Dr Sleep. Stephen King. There’s an excellent version read by the actor Will Patton. Horns by Joe Hill is very well written and I thought the narrator was fantastic. I love his books, just cannot stand the way they’re read. At least Salem’s Lot and I listened to a sample of IT. Caitlin, I loved Horns! Connie Willis has some lengthy time travel stories. Some of my favorite books ever. “Doomsday Book” is 26.5 hours. “Blackout” is 18 hours. The sequel to Blackout, “All Clear”, is 23 hours. Karin Slaughter’s The Good Daughter was gripping and well read. I liked doctor sleep on audio. I listened to it right after the Shinning but it could be a stand alone. I don’t remember how long it was tho. I liked Raven Boys. I liked the narration and it’s a series. I’m thinking of getting It by Stephen King on audio because I want to read it but I’m overwhelmed by how long it is and don’t want to lug it around with me. 11.22.63 was a good read. The Nightingale is now audio and it’s a wonderful book! The Jane Smiley Hundred years trilogy starting with Some Luck is wonderful. 11.22.63 Stephen King 🙌🙌🙌🙌🙌🙌🙌🙌🙌🙌🙌🙌🙌🙌🙌🙌🙌🙌🙌 I’m not A King fan, but this book!!!!!! Also love his Dark Tower series. (Movie adaptation awful). It by Stephen King is 45 hours. Swan Song by Robert McCammon is excellent and is 34+ hours. I also loved The Terror by Dan Simmons at 28.5 hours. Game of Thrones. It’s very long and very good! Only the first three are worth reading, the others not so much. Harry Potter could be fun! I honestly thought about that even though I’ve read them so many times. And the narrator is phenomenal! Still had me on the edge of my seat…and then I was like “seriously?! You’ve seen the movies and read the books HOW many times? !” Still was let down when they ended! The Luminaries by Eleanor Catton. The Passage. 37 hours of well written wonderful narration. Not just a great horror story, but great characterization. And it has a sequel and another sequel that are just as long!!!!!! (Justin Cronin is the author. The 2nd book is The Twelve but i can’t remember the third). I’m still listening to The Passage; I’m maybe 4 hours in! Wool by Hugh Howey is good, long and SCI FI! I was obsessed with these. I was reading through this thread to see if someone had suggested it! Jonathan Strange and Mr. Norrell might fit. Very good series and the follow up Bloodlines is also excellent. World War Z unabridged. Max brooks inteviews survivors of the zombie wars in an oral history. It’s got a great all star cast.